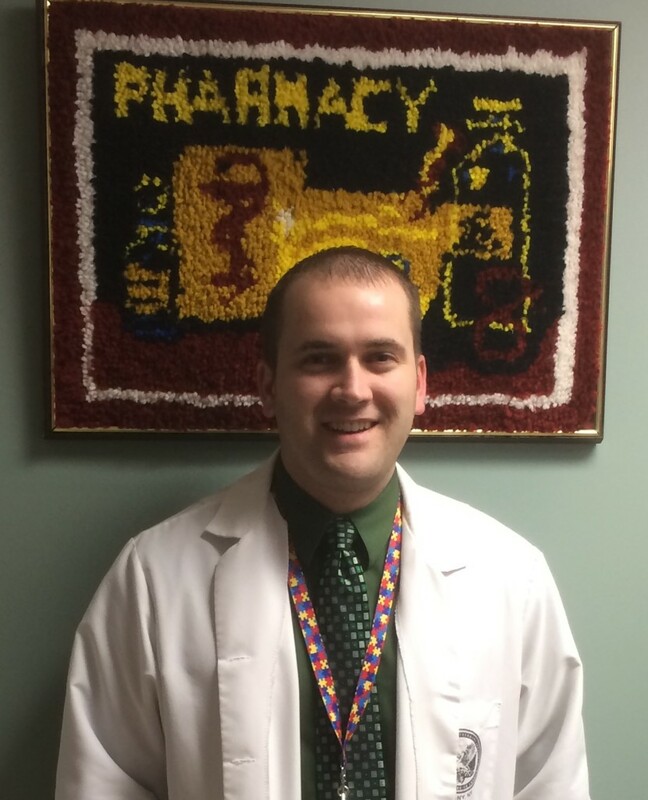 Guest Blogger: Timothy J. Atkinson, Pharm.D. This was a Tweet from @Pharmacy_Times to @mlmcpherson just seconds after Dr. Mary Lynn McPherson made her opening remarks in the last of three satirical, yet informative debates at the much anticipated annual pain education series at the ASHP Midyear Clinical Meeting. This year, the gathering was filled with a variety of educational and entertaining sessions but among the most memorable were friendly debates between nationally recognized pain practitioners entitled Can’t We All Just Get Along? Debates in Chronic Non-Cancer Pain Management. Three relevant questions were debated and participants were assigned a Pro or Con position to support and attack the opposition, humorously and personally at times, but came together in the end to explain their true opinions, as each practitioner was assigned a pro or con position irrespective of their true feelings on the topic. Dr. McPherson highlighted the FDA’s proposal to the DEA to reschedule hydrocodone to schedule II, highlighted correlations between increases in opioid prescribing, overdoses, and disproportionate use of hydrocodone compared to other opioid analgesics and use with other countries. She noted that the FDA recently voted to reschedule hydrocodone to schedule II and practically announced game over right at the outset. As outlined above, she figuratively threw our feline friends into the atmosphere, barraged by elusive bottles of hydrocodone. She talked about huge quantities of hydrocodone being ubiquitous for diversion due to prescriptions after surgery, dental procedures, acute pain or trauma that are often for 30 days or more with refills. The combination with acetaminophen was intended to provide synergy with hydrocodone resulting in lower doses and less abuse. She cited studies showing the abuse potential was similar to CII’s and taunted Dr. Fudin to show the data supporting its increased safety compared to CII products! She finished by saying if you do not agree then all opioids should be schedule III! Dr. Fudin began by polling the audience about the level of evidence supporting this move and whether it originated from randomized trials, observational studies, or other research to reinforce that there was no data for or against this rescheduling. He dismissed the statistic used by Dr. McPherson that the US uses 99% of the world’s supply of hydrocodone as sensationalism because dihydrocodeine and codeine are used in Europe, hydrocodone exists only in cough syrups in Canada, and even Australia has transitioned patients from hydrocodone to morphine. He then highlighted studies showing the likability of hydrocodone was less than oxycodone as supported by three studies, and presented the results of recent hydrocodone rescheduling to schedule II in New York State; that resulted in increased prescriptions for oxycodone, but codeine remained steady. He finished by expressing concern that patients with legitimate pain would ultimately pay the price for lack of access to pain medications and must crawl from pharmacy to pharmacy each month in certain states (especially Florida and Kentucky) attempting to fill legitimate pain prescriptions. See Pharmacy Times coverage and videos HERE. Dr. Kral highlighted some of the challenges of treating chronic pain with opioids by presenting a case describing escalating doses of opioids and increasing pain complaints. She pointed to hyperalgesia and allodynia as a result of opioid therapy. She reviewed the pathophysiology of pain and discussed opioid administration acting like exogenous endorphins bombarding glial cells, which are neuroprotective, resulting in release of inflammatory cytokines and increased pain. She was so concerned that she announced the start of a new non-profit organization called the Glial Support Group. Dr. Strickland provided a brief history of our understanding of glial cell function and involvement in pain pathophysiology including the recent discovery that opioid administration can activate glial cells. She argued that it was far too early to know the full extent of these effects and differentiate them from other underlying causes. For example, numerous other factors contribute to glial cell activation including nitric oxide, prostaglandins, substance P, CGRP, glutamate, nerve injury, pathogens, and potentially opioids. The association between glial cell activation and opioids may be difficult to ferret out because one or more of the above mentioned causes is almost always present as well. Currently, evidence supports this association with morphine, but not other opioids, and interestingly there are two glial targeting medications in clinical trials to investigate efficacy for neuropathic pain. She summarized by saying that while this research is enlightening the majority of the data is from animal studies and we should stay tuned to see if this will cross into human trials or in other words don’t fund the non-profit just yet! Dr. Kral outlined the difficulty in providing effective treatment for complex regional pain syndrome (CPRS). She described ketamine’s mechanism of action and several small studies at various doses showing increased efficacy in pain control, opioid tolerance reversal, and decreased length of hospital stay. She attributed the majority of adverse effects to studies using much higher doses and shared the low dose ketamine protocol from her facility while raving about the positive results. She then breathlessly discussed the benefits of low-dose naltrexone (3-5mg daily) with benefits that included reduced glial cell activation and cited demonstrated benefits in fibromyalgia, primary progressing MS, and Crohn’s disease. Dr. McPherson also began by discussing CPRS and the potential value of NMDA receptor antagonism but flippantly remarked that the neurotoxic and dissociative effects of ketamine put the “special” in “Special K”, a well-known street name for the hallucinogen. She referred to delusions commonly experienced by ketamine use, long-lasting memory impairment, and volume loss of gray matter in the brain. She cited studies that demonstrated questionable efficacy over placebo with 3-5 times increased side effects in the ketamine group. For low-dose naltrexone she pointed out that the benefits may be grossly overstated because in the fibromyalgia trial the positive effects were not maintained until the end of the trial suggesting effects may be transient. She then explained that the adverse effects including nausea, vomiting, tachycardia, and cardiac arrest may be too high a price for questionable efficacy and transient duration. She ended with a quote from Dr. Carmen Gota, from the Cleveland clinic, that highlighted the need to treat the whole individual with fibromyalgia and pointed out that popular therapies come and go. At the end of the debate several things were clear, all of the participants presented well researched and reasoned arguments with a sense of humor that made listening and learning entertaining. Remarkably, after each presentation the participants came together and told the audience what they really thought and inevitably they were on the same page. In nearly every case above, some of the data is promising but new therapies and regulatory considerations should be approached with caution until clinically acceptable patient-centric approaches are confirmed that maximize efficacy and patient safety while decreasing risk of toxicity. Resident at the Samuel Stratton VA Medical Center, Albany NY. Guest posts by Resident Pharmacists are reviewed, edited, and approved for accuracy by Dr. Jeffrey Fudin prior to posting. Dr. Fine is so right – it is very difficult to take a polar position in a debate on a controversial subject. That’s why we’re pharmacists and not attorneys – we see and care about both sides. Healthcare providers are mostly an objective group, searching for the most effective and safest answer for our patients. Whether it’s science or policy, the debates are intended to get the audience members (and panelists) thinking and talking about the issues. Unfortunately the nature of the beast is that we never really come up with a hard and fast answer. So on with the debates! And for blog readers, please note that none of the speakers are hydrocodone (or opioid) haters. In fact, all of us have worked with both non-cancer pain and pain within the palliative care setting, using both opioids and non-opioids. And lest you think that we do not care, I will tell you, that providers who work in pain management not only take our own chronic pain home with us, but the suffering of every patient we see every day. Not just one patient, but every patient. We will go home tonight and pray that we have not harmed anyone and also hope that we may have helped. Lee; I couldn’t have said that better myself. Thank you!!! Thank you Dr. Fudin, Dr. Atkinson, and the rest of this learned cohort of caring professions. “Swinging a dead cat”, Like Jeff says, “It’s an idiom”. My take is an idiom made by an idiot. As an RA patient that has difficulty in every day tasks that most take for granted, I am confused as to why anyone who doesn’t live in pain would chose to make it more difficult for people like me to live as normal a life that is possible. We all know that this huge increase in opoid prescriptions came from greedy doctors and corporate pharmacies that filled prescriptions for massive amounts of opoids and they KNEW it was wrong but chose greed over the well being of people. Now that the DEA and anti-pain pill advocates are at war with these meds, the people who depend on them just to make it through the day are the ones suffering now. We are in pain, we did not chose this disease. Who is to say that making it harder to get our meds is helping anything? I honestly just wish that we could be left in peace and let our physicians who are trying to take care of us, do their job. Thank you Dr. Fudin for continuing to stand up for what is right. 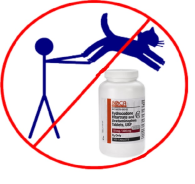 Leave it to Dr. James Ray to find this about the phrase, “Swinging a dead cat”. Thank you for enlightening us Jim. Don’t Be An Idiom: Room to Swing a Cat, Exploring the origins of everyday words and phrases. Who would have known that we’d learn about idioms and pharmacology?!? Drs. Fudin & Atkinson, thank you for the kind words. Our Pain & Palliative Care Special Advisory Group (SAG) to the American Society of Health-System Pharmacists (ASHP) Section of Ambulatory Care Practitioners has utilized the “debate” format of didactic lectures for a few years now. We have found this format to be an innovative and entertaining method of conveying large amounts of information on controversial topics to our audiences. In addition, over the years, we have found the “debate” format continues to engage the audience. The success of this format goes entirely to the hard working and participatory members of our SAG!! Hopefully we will be able to continue this format of education for a long time. Dear Dr. Fudin: As usual, your blogposts neither disappoint nor induce REMs (as in sleep!). Thanks for making the effort to share these very illuminating “diads” with those of us mere mortals who peer into the machinations of the ASHP with wonder and awe! With a bit more seriousness, this approach to “forcing” the dialectic by requiring presenters to take uncomfortable positions creates insight that are very illuminating—-it is a wonderful teaching/learning model. Dr. Fine: Thank you for your “fine” comments and particularly pointing out that the pro/con approach does ensure an unbiased presentation that helps to illuminate the issues and humble the presenters. I will be certain that ASHP coordinators and educators are aware of your comments, especially since you have and continue to bring many years of didactic learning to pain clinicians from every specialty. For the record, I wish to acknowledge that Dr. Ernest Dole and the planning committee deserve a lot of the credit for this forum! And of course, Dr. Atkinson did a wonderful job summarizing this for our readers.